Who is performing the legal work that I am hiring you for? Delegation to legal assistants or less experienced attorneys may not be the best strategy for some complex cases. Ensure that you are comfortable with the attorney and their team. This answer provides confidence that the attorney has seen the gamut of possibilities in their legal area, which can give clients confidence that the attorney can address obstacles. What is your track record with this type of case in terms of approvals? This is important to show that the attorney has experience in that type of case. What is the attorney's communication style? Gauge the attorney's communication style. You should be comfortable with how they communicate, how and if they ask questions, and how they dialogue with you. What do the attorney fees include and when can I expect additional charges? This is key to understanding fees for budgeting purposess. employee contracts. Find out if there are any human resource issues or outstanding lawsuits pending against the company.\n\nDo you have any other essential legal guidance for startups that you haven't already included in this survey?\nGet referrals from your expert team so you can be confident that you are engaging a person you trust. This makes the legal process easier with this establishment of trust."}" style="font-size: 15.6px; font-family: Arial;">What is the best way a small business owner can protect personal wealth and assets from business risks? Employ corporate and tax experts, including attorneys, to get the most up-to-date information on protecting a business owner's wealth and assets from business risks. Business owners are wading into complicated and regulated areas that are best served with an experienced guide. The steps of the immigration process. There are often several steps with different agencies, which leads to much confusion. Getting well-informed legal advice from experienced attorneys can help a business grow in confidence because business moves are grounded in factual examination and analysis in light of current law. I counsel startups that need to ensure proper movement of their foreign national talent to the United States. My advice is necessary so that they grow in a manner that is amenable to their immigration record in front of tough government agencies. Businesses that want to do things themselves in areas they are not well-versed are often taken aback because of problems that arise. Legal services help save them money in the end because those often-minor mistakes have major consequences that hit the bottom line. Ask many questions of your proposed experts so you feel comfortable with their experience, their values, and their personalities. The more you mesh with your expert, the more you are able to dialogue with them about your important cases, which makes teamwork more efficient. I advise startup owners on equity issues for obtaining immigration benefits for founders and valuable team members. This strategy depends on the nationalities of the partners and on which visas are preferred for the global expansion of the company to the United States. Review the business's tax returns to determine profitability and if there is outstanding tax liability. Do your due diligence reviewing customer lists, sale records, advertising materials, and employee contracts. Find out if there are any human resource issues or outstanding lawsuits pending against the company. Get referrals from your expert team so you can be confident that you are engaging a person you trust. This makes the legal process easier with this establishment of trust. 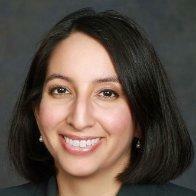 Denise graduated from DePaul law school and has bachelor's degrees in economics and journalism from UT Austin. She is a Board Certified Immigration attorney with over 11 years of experience in obtaining employment based immigrant visas and work authorization for talented and extraordinary ability foreign talent. She focuses on serving startup companies and is active in connecting with talent in the technology, startup, and investment communities. Denise’s prior experience includes over 10 years at top immigration boutique firms. She lives in Houston and represents business immigration clients from around the globe, including those who prefer communicating in Spanish. What to Ask: Incorporation and Startup Tips | Phil Hong, Esq.